Medical professionals now seek to engage patients in shared decision making for everything from back surgeries to antidepressants to mammography. That means patients have to be made aware of many types of risk, face the possibility of harm and make choices about it. This lesson was driven home to me early in my academic career, when I was still a Ph.D. student. At the time, I was getting my doctorate in Behavioral Decision Theory, a combination of decision psychology and behavioral economics that studies how people behave as they gather information to make complex decisions about risky prospects. Then, one day in 1998, I hit my arm while playing racquetball with a fellow Ph.D. student. An hour later, the bruise went from my shoulder to my wrist. Because I previously had low platelet counts as a teenager, I knew to get tested as soon as possible. This time, the count was 19 (x109/L), nearly low enough to cause spontaneous internal bleeding. Diagnosis: myelodysplastic syndrome. My only chance of a cure was a bone marrow transplant from an unrelated donor that could kill me within days or weeks by leaving me completely unprotected from every kind of illness, large or small. I had become my own case study. That fall, my wife and I went to my intake appointment for a bone marrow transplant program. I remember the conference room vividly: the glass windows with blinds, the modern conference table, the whiteboard. I said to the doctors, “I study decision making — give me data.” So they drew survival curves on the board: First, a decreasing concave curve showed my life expectancy without the transplant: very good for a few years, then dropping quickly and reaching zero somewhere around 10 years. Then the hockey stick of the transplant curve: sharply dropping during the first year — my chance of surviving the first year was around 70 percent — but pretty much flat thereafter. If I made it through that first year, I would probably live for decades. Three things struck me that day: As a highly numerate graduate student studying risk and decision making, I was as well prepared as anyone could be to make sense of those data. Even after comprehending the graphs, it was still incredibly hard to make that choice because there was no right answer. And, finally, if it was that hard for me, how hard must it be for everyone else? As a patient on the bone marrow transplant unit, I saw the relevant risks firsthand when several of my fellow transplant patients never left our 20-bed ward. I was one of the lucky ones, but it wasn’t easy. It was over a year later when I overcame the fatigue and nausea enough to resume work on my Ph.D. The storyteller Matt Dicks says that good stories are really about five seconds of life. The five-second core of my story is that moment when I realized how hard medical decision making must be for patients who lack my advantages. It provided the goal for my professional career: to make patients’ lives better by making it easier for them to absorb the health information they must face. Huge efforts have been made to allow patients to see their test results and medical records. But, access to information does not guarantee meaningful use. In fact, more information can be harmful, and it is ethically problematic to bombard patients with data that they cannot use. What I, and my colleagues at the U-M Center for Bioethics and Social Sciences in Medicine, have shown in our work is that how information is provided to patients matters more than what the data are. Just providing the right number is not enough. Health data must be presented in the best format to fit patients’ needs, accompanied by relevant reference standards to make them intuitively meaningful. For example, people can make better treatment decisions if relevant risks are provided in icon array graphics (for example, a 10 x 10 matrix of stick figures, each representing 1 percent of the entire population) than simply as numbers. A treatment success rate of 28 percent is meaningless absent comparison information about other options. In my case, my platelet count of 19 was meaningful to me because I knew normal values are around 200-300 [x109/L], and that counts lower than 10 are extremely dangerous. 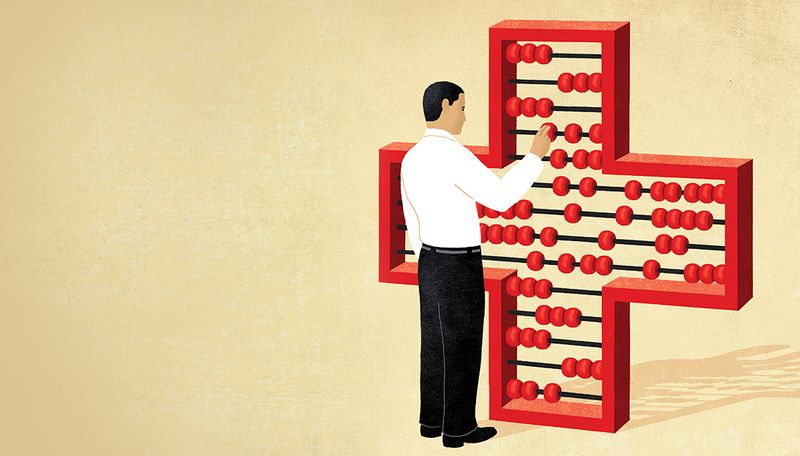 All patients are unprepared for the health data, tradeoffs and choices they face. Even patients like me. But the more that we are aware of the science and ethics of health communication, the more we can ensure that health data communications are a benefit, not a burden, to patients like me in our hour of need.